Large Volume for Us Means Low Volume for You! ENVision Laboratories is now performing Low Volume PAH/cPAH Water Microextraction! Save time and space in coolers! 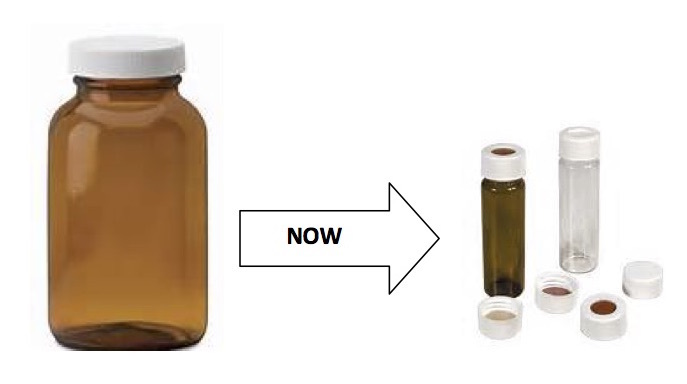 ENVision clients are now able to quickly collect water samples in 40 mL unpreserved vials. The addition of the Gerstel Large Volume Injector significantly reduces the amount of solvent needed for extraction. ENVision will be utilizing Method 3511 for PAH or cPAH water sample extraction. The holding time is still 7-days and all 8270 SIM RL’s will remain the same (ie. RCG or RISC limits). Please submit 3 – 40mL unpreserved vials per sample. Low volume sampling will help ENVision clients with low flow sampling, slow recharging wells, cooler space, and will reduce field time. Call ENVision for free sample pick-up, delivery of supplies, or to receive a quote on your next project!